It’s been a few years since Kachoshi started to deal in Yonezawa Gyu (beef from Yamagata prefecture). 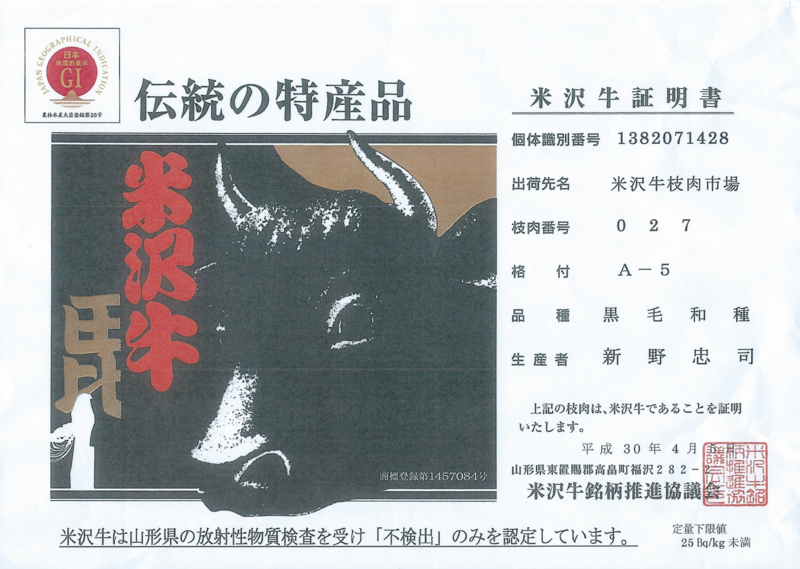 Since last year, stickers of Japan Geographical Indication (GI) has been sent with beef (picture ①). 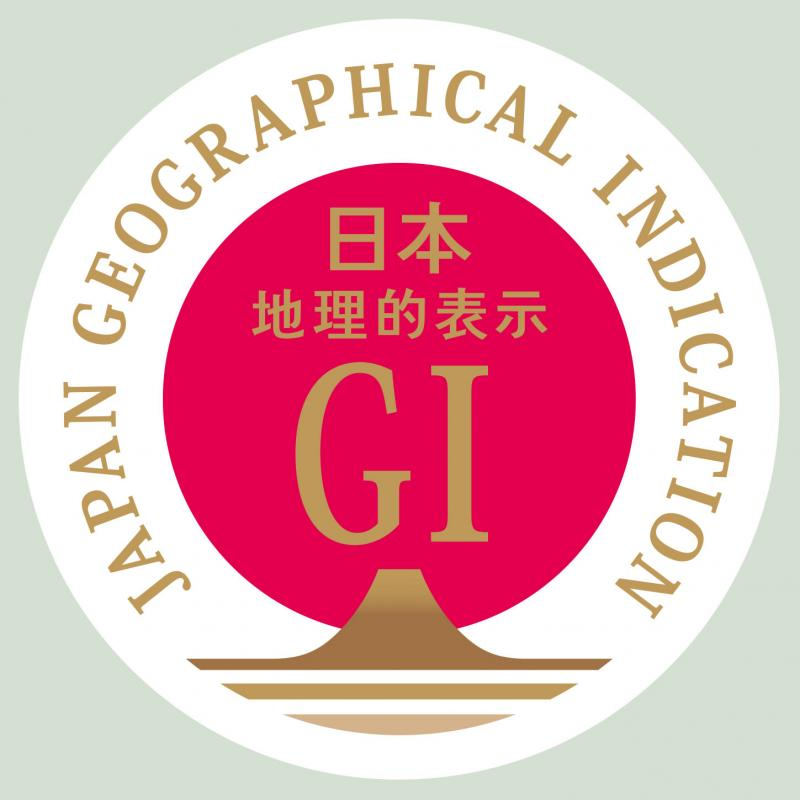 GI is the system that Japan legally guarantee quality of the beef and its brand name. If you would like to know more about GI, check the website of the Ministry of Agriculture, Forestry and Fisheries. I had thought that these stickers are just thrown in, but the truth is that the beef is required to be accompanied by the GI stickers in each distribution stage. 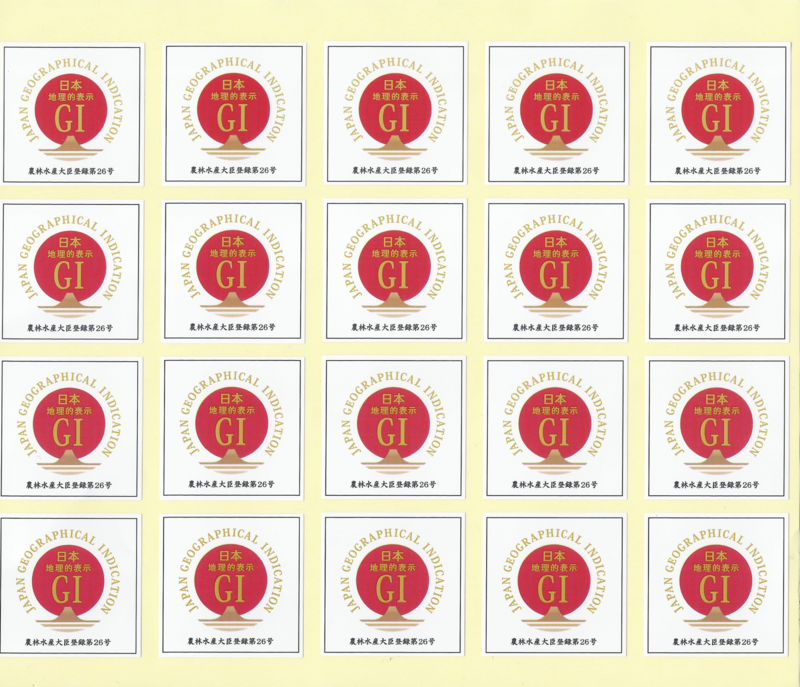 Picture ②　is the GI sticker which was sent with the beef which arrived here today. The Individual Identification Number of this beef is 1382071428. In Kachoshi, the Individual Identification Number of each beef is shown on the menu and the blackboard at the entrance. I would like to guarantee the credibility and the quality of the beef I serve to the customers.